The best mutual fund does not mean the best in returns, but the one which suits to your goals, risk profile and the one that is good in its category group. 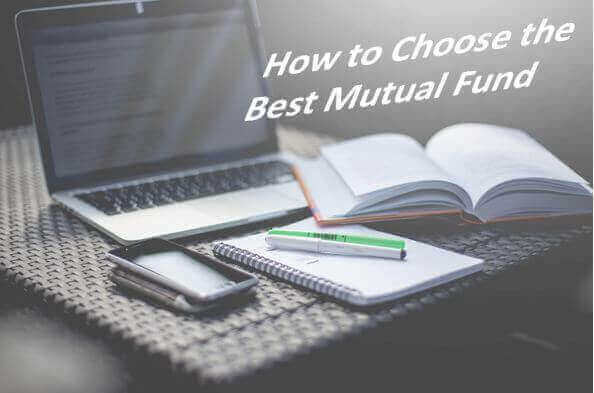 The major mistake which mutual fund investors make is selecting a mutual fund only on the basis of returns and that too just for the last few months or years. There are also some investors who consider only the ratings given by various research firms. These ratings may be good, but there are many other parameters that should be looked into. The most important first step is to have an investment goal. A good fund selection done without having an investment goal is completely useless. You should know the reason for your investment, how long you can be on the investment, at what stage you will re-allocate, etc. before you make your first investment decision. In addition, investors must also study the issue of risk tolerance. Is the investor able to afford and mentally accept swings in the portfolio value? Or, is a more conventional investment correct? Identifying risk tolerance is as important as identifying the goal. Now the issue of time horizon must be addressed. Investors must think about how long they can afford to tie up their money, or if they anticipate any liquidity concerns in the near future. Because mutual funds have sales charges & that can take a big bite out of investor’s return over shorter periods of time. Ideally, mutual fund holders should have an investment horizon with at least 3 to 5 years or more. A mutual fund incurs expenses like fund management fees, marketing or selling expenses, fund transaction costs, investor communication costs, custodian fees, and registrar fees. The expense ratio is defined as the recurring cost per unit incurred to operate a scheme & is charged to your assets. This mutual fund expense ratio is calculated periodically but is charged daily on NAV. This annual recurring expense is disclosed in every March & September & is expressed as a percentage of the funds average weekly net assets. As per SEBI regulations, the maximum expense ratio of an equity fund can be 2.5%, and for a debt fund, it can be 2.25%. Expense ratio assists you to know how much you pay to a specific fund every year to manage your investments. Suppose you have invested Rs.1,00,000 in a fund scheme, whose expense ratio is 1.9%, you are paying Rs. 1,900 every year to manage your investment. That is, if MF is earning, say, 17%, your return would be 15.1%. This drastic reduction in your returns makes the huge loss for you over the long term if you do compounding. So remember that a higher mutual fund expense ratio will mean lower return for you & vice versa. A small amount is charged while purchasing fund, which is called as entry load. This amount is deducted from the initial investment. For example, if Rs 1000 is invested in a fund having an entry load of 2 per cent, then Rs 20 is deducted from Rs 1000 and Rs 980 will be invested in the fund. In the same manner, an amount is charged at the time of redemption of units from a fund known as exit load. If the invested amount of Rs 1000 has grown to Rs 1100 and the fund has an exit load of 1.8 per cent, then Rs 19.80 (1.8 per cent of 1100) will be deducted at the time of redemption. Hence, the amount redeemed would be Rs 1080.20. However, the exit load of various schemes may vary with the investment tenure and investment amount. Entry loads for equity funds range from 0 (no load) to 2.5% of the value you purchase. Exit loads can vary over time and typically range from 0% to 4%. Generally, Exit load is NIL if investment tenure is more than a year for most of the funds. These loads (entry/exit) vary from scheme to scheme, but have to be within the limit recommended SEBI. You can save the entry load by investing directly through the AMC. What is the past track record of the fund manager? Did the fund manager deliver results that were consistent with benchmark returns? Was the fund more volatile than the big indexes? The performance of the schemes he is currently managing & has managed in the past. Was there a change of manager?. If yes see his performance by looking at alpha and quarter to quarter performance for the current year. This information will give the investor insight into how the portfolio manager performs under certain circumstances. As well as what historically has been the trend in terms of turnover and return. However, it is important to remember that past performance is no guarantee of future results. For this reason, before buying any fund, review all other aspects mentioned in this article & study anticipated trends in the market in the years ahead. Historical performance is a measure of how a fund has performed in the past. Performance is measured over a period of months or years. Longer performance periods are more meaningful than shorter ones. First look for CRISIL rank of the fund. CRISIL rank is based on Superior Return Score (SRS), Mean Return and Volatility, Portfolio Concentration Analysis, Exposure to Sensitive Sector, Liquidity Analysis & Asset quality. All these parameters give your surety that fund is doing well. Always choose Rank 1 or 2 funds, which will ensure that your selection is the best investment company. See below screenshot for the definitions for various ranks given by CRISIL. Secondly, when assessing funds, focus on the long-term historical performance. Specifically, look at a fund’s net returns over the last 5 to 10 years. This looks like a long time, but note that mutual funds are long-term investments. Looking back over a longer period also more clearly outlines the tendency of the fund over time. It will show you how the fund has performed during both rising and falling markets. You can find these rankings & average returns from the factsheets of various AMCs and also on some mutual funds research websites. It is always suggested that sensible investors should put their money in a fund that is neither too small nor too big in its size. There is no definite relationship between the size of a fund and its performance. Being too big and too small can deter a fund’s performance. Hence, it is usually recommended that while choosing a fund, one should go for the scheme whose assets under management (AUM) are approximately equal to the category average. This will ensure that the fund is neither over-diversified nor too focused. For instance, the biggest diversity Equity fund, HDFC Equity Fund (G), has an AUM of Rs. 14,512 crore & the smallest fund, Tata Equity Management, has an AUM of only Rs 0.01 crore (as on 14th April 16). Besides, investors also seem to believe that the larger the fund, the better it is. For them, a large corpus is usually a symbol of investors’ confidence in the fund scheme. Investing in mutual funds is one the best step you are taking in your journey of becoming a great investor. If you choose mutual fund on the above-mentioned parameters, you will definitely increase your chances of getting good returns over a period of time. However, no one can predict future of any scheme or a particular sector where you are investing. This is the reason, it is advised to review the selected mutual funds in every quarter or half yearly. This article helped me to verify the mutual funds given by my advisors. Here after i will adapt the process given here. thanks a lot. 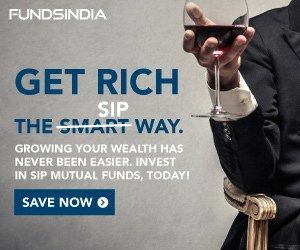 There are few funds which are giving best returns but have very less AUM, should I invest in them? Hi Raman, Only AUM should not be the criteria to choose the best fund. If you see other parameters as mentioned in above post are good, then you can go ahead with them. Every fund starts with this phase, but note that the fund AMC is reputable (like Axis MF, HDFC MF, Franklin MF etc) to avoid investing in bad mutual fund. If you can email me the fund you are talking about, I can have a look over it and let you know should you invest it in or not. This is very well written article to choose best mutual fund. It’s really very helpful for novice investor like me.